I have always taken photographs of interesting doors but since I started taking part in this challenge I’ve upped the number of photos. This is not really a problem because there are so many interesting and beautiful doors, wherever I look. And, I look a lot. 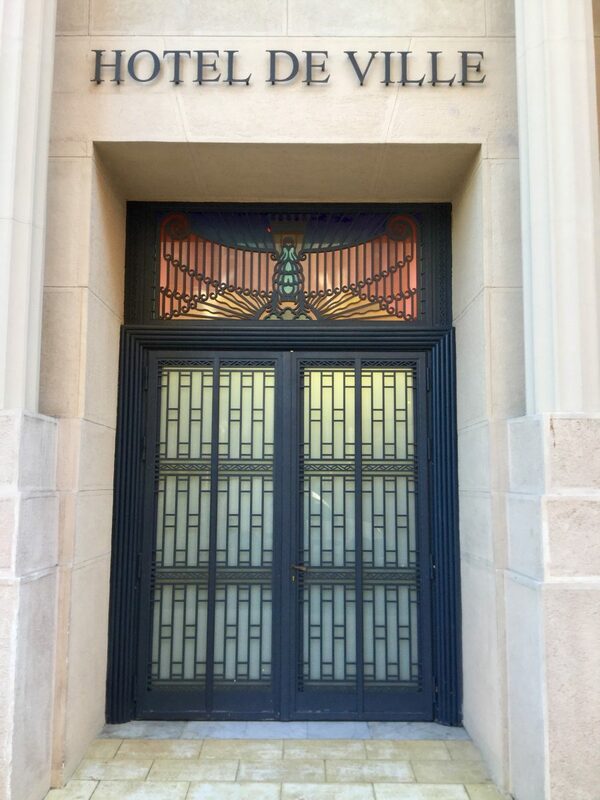 Today’s photo features the beautiful Art Deco door of Nice’s Town Hall. The building was constructed between 1730 and 1750 and fulfilled various functions (seminary, prison, cop shop and hospital) before becoming the town hall in 1860. It was totally renovated on the initiative of Mayor Jean Médecin, in 1930-31, when its interior and exterior was rendered in Art Deco style by architect Clément Goyeneche. i always look forward to the door shots. you’ve shown some very unique door pictures so far thanks. we love the different designs, patterns and artistic craftsmanship on the various ones youve shown so far. this one is one of my favorites so far. Matty and Anika, thanks for your kind and encouraging words. I’ve always been fascinated with doors – what stories they could tell – and it’s great to find similarly-minded folk on WordPress. agreed my friend. i love finding the art in the tiniest things. example, we dont take pictures of ourselves or other people we take pictures of the view when we’re out. have an epic day my friend and keep those post coming. The door can also be interesting and have its own style and history.